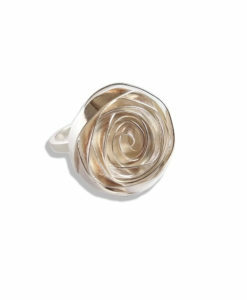 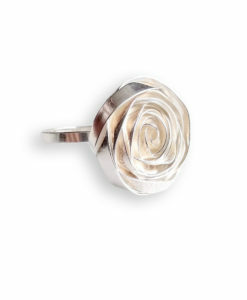 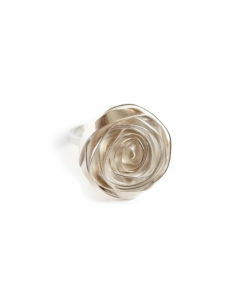 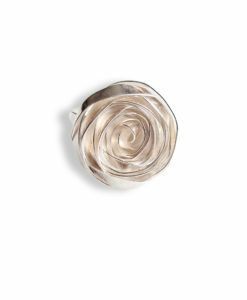 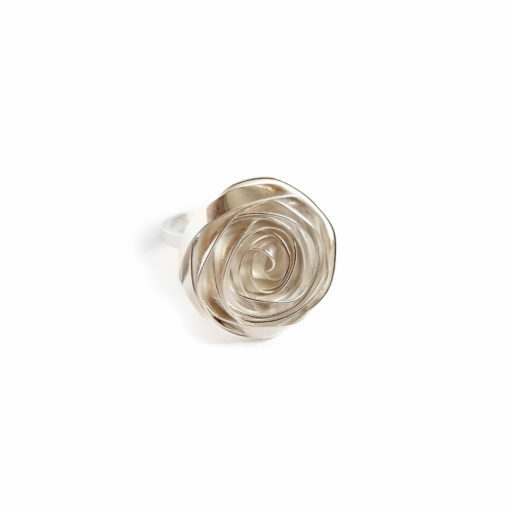 Statement ring featuring a ribbon shaped in the form of delicate rose flower blooming. 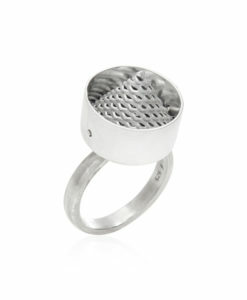 Inspired by C. Rennie Macintosh and the symbolism movement of the early 20th century. This Romantic Rose Flower Cocktail Ring will make heads turn. 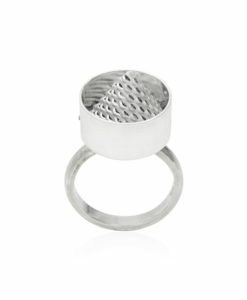 It certainly is a statement ! 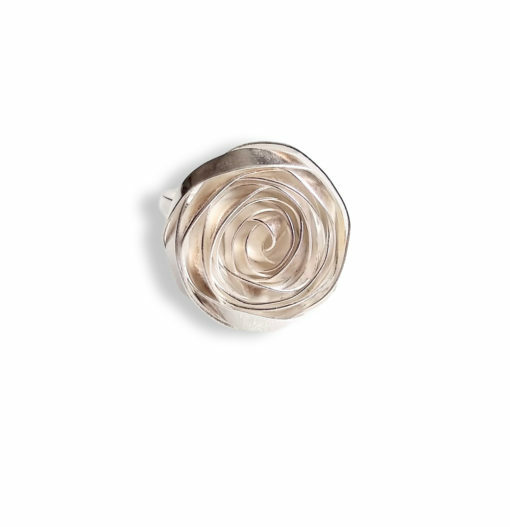 It features a ribbon that has been shaped in the form of delicate rose flower blooming. 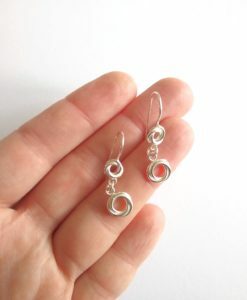 Inspired by C. Rennie Macintosh and the symbolism movement of the early 20th century. This gorgeous flower has personality aplenty. 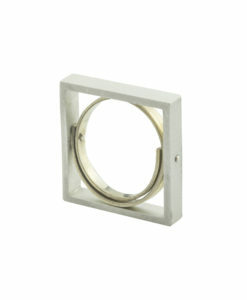 Modern and feminine, with a smooth texture and crisp lines, it has a very contemporary edge. 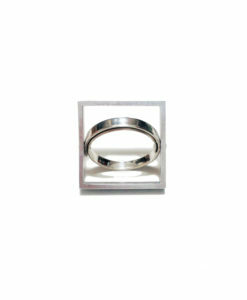 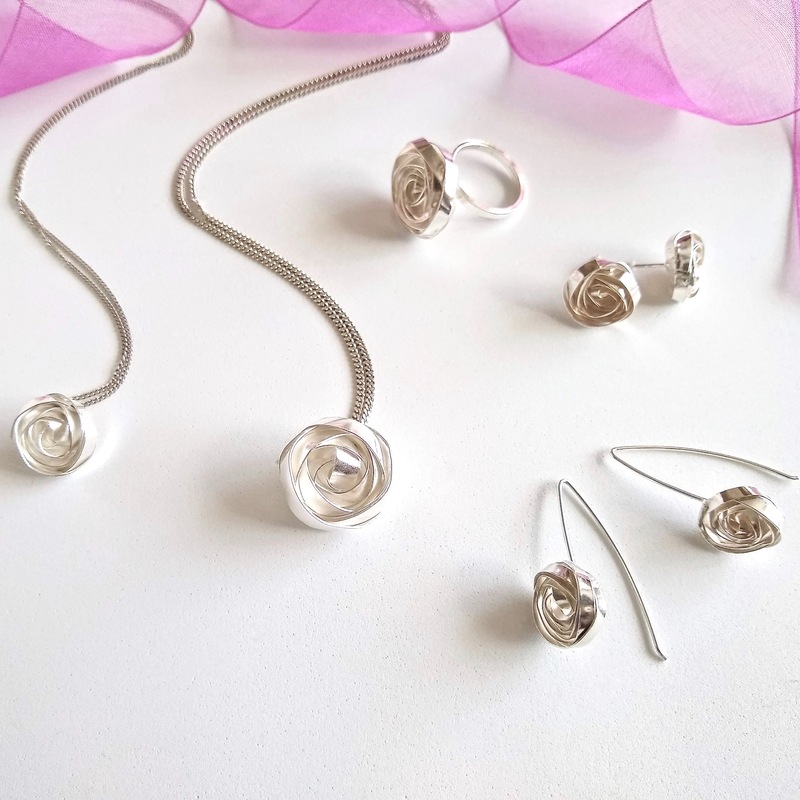 Ideal bridal jewellery. 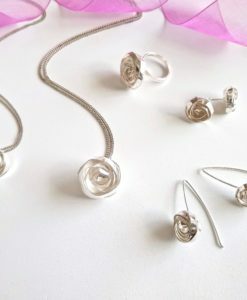 It also makes a beautiful Mother’s Day gift or a very special treat for your Valentine. 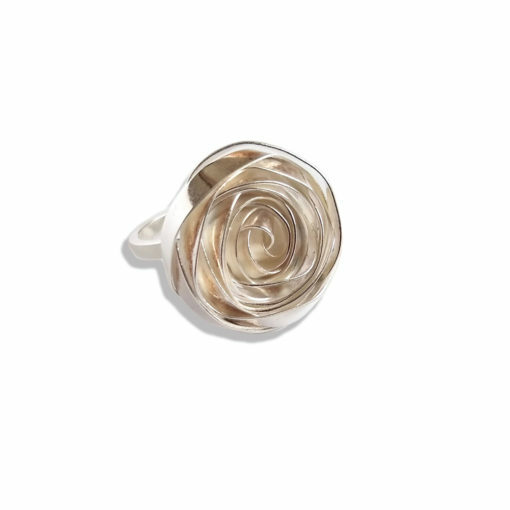 To wear on their own or paired with one of our necklaces and / or earrings also available online. 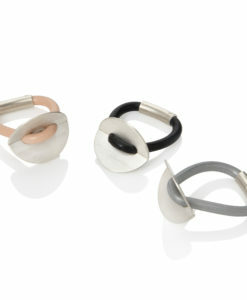 Handmade in sterling silver – each rose is made individually which makes it all the more unique.